For a thru hiker, these Appalachian Trail Medals are a timeless keep sake to commemorate the amazing accomplishment of completing their hike. For a collector or AT enthusiast, they are a quality made piece of memorabilia to treasure. Each medal comes with a matching ribbon and is individually wrapped. 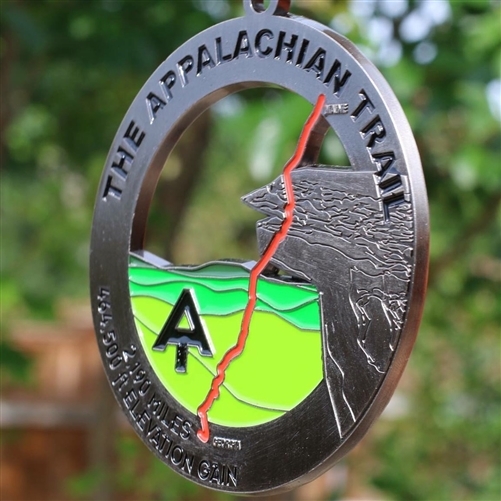 These medals make an incredible gift for a thru hiker. They will instantly recognize the iconic McAffee's Knob shown on the medal and will be flooded with memories of their time spent standing on the precipice contemplating the goal ahead of them and the great feat already behind them. 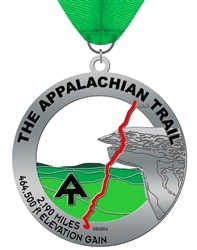 The medal displays the length of the Appalachian Trail as well and the elevation gain over the entirety of the trail. This data helps remind hikers of the unbelievable act they completed and helps others understand the wonder of such a feat!